Knowing where you are and where you're heading is essential for safe travel in the backcountry. 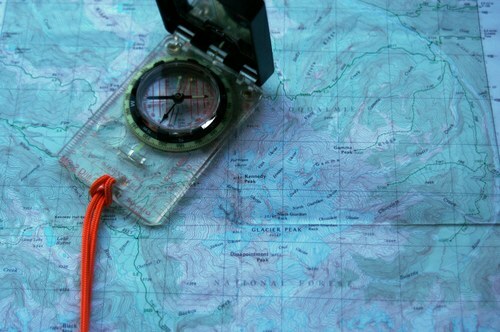 Our Basic or Wilderness Navigation and GPS courses will teach you find your way. Now called either "Wilderness Navigation" or "Basic Navigation", this course teaches the skills necessary to navigate through wilderness. You’ll learn to relate features on a topographic map to your surroundings, use your compass to determine bearings to objects in the field, and use a map and compass to determine your location and desired direction of travel. The course combines evening classes with weekend field trips. 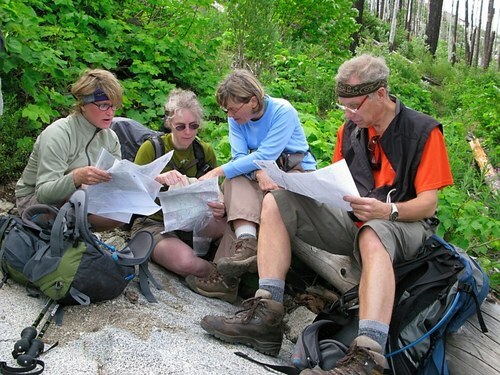 Basic or Wilderness Navigation certification is required for graduates of some courses, including Alpine Scrambling, Basic Climbing and some Snowshoe courses. All branches honor the Basic Navigation badge as our standard navigation requirement, which is awarded after completion of both Wilderness Navigation and Basic Navigation. Tacoma and Olympia branches generally offer a spring and fall course. Seattle has a series of field trips and workshops spanning from November through April to fit various schedules. Kitsap and Everett generally offer once a year in February or March. An evening workshop usually held mid-week, this covers reading topographic maps, identifying important features, understanding declination, taking, locating and following bearings in the field and on a map, triangulation techniques, and features to consider when buying a compass. Monthly by the Seattle branch. 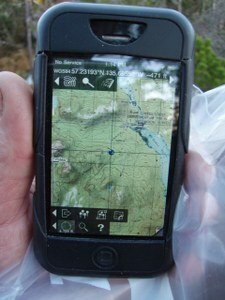 The course covers basic GPS navigation functions, hardware considerations, and a toolbox of apps. The final hour usually takes place outdoors. Every other month by the Seattle branch.